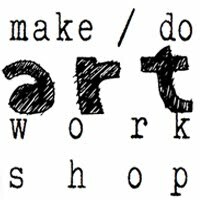 I thought I might share a little of what I have been working on in my art room. 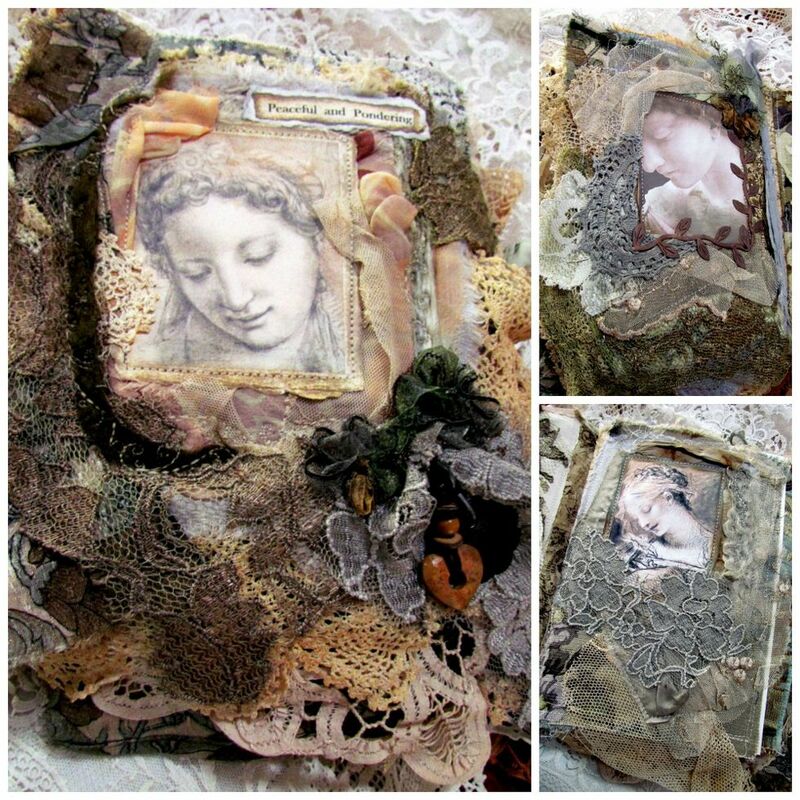 I love making lovely things from items I would normally throw out! There is something that feels so good about taking garbage and giving it a new purpose. This match box project was inspired by Holly who hosted this swap at Marie Antoinette Mail Art Ning group. The first one I have sent off to Debi and the second is one of my upcoming giveaway items! Yes, I am having a giveaway for June, and there will be at least 6 gifts to win! To create one of these you begin with an empty match box. This is the larger 4 3/4"x3 3/4" size boxes. If you don't have any almost empty ones sitting around, they come in a pack of 6 and only cost about $3 at Kroger's. 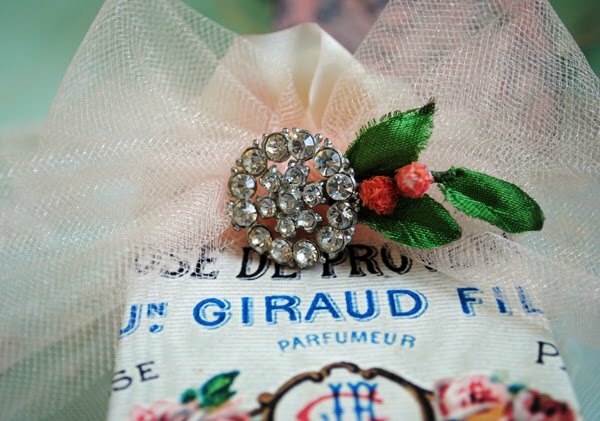 I used a French perfume label made available by the Graphics Fairy. If you have never been to Karen's site, you are in for a treat. It is full of all kinds of free images that are perfect for creating and decorating. I primed the box with gesso to hide the bright red color. The background paper I made myself by doing a tissue paper transfer off of an 130 year old French document I purchased in Paris at the Fleas. I am just finishing a new video tutorial on how to do tissue paper transfers (paper saving version).This video will be out before next weekend. Yay! I filled the box with all kinds of paper ephemera, as well as charms, ribbons, lace, and millinery (new and vintage). It was stuffed to the brim! 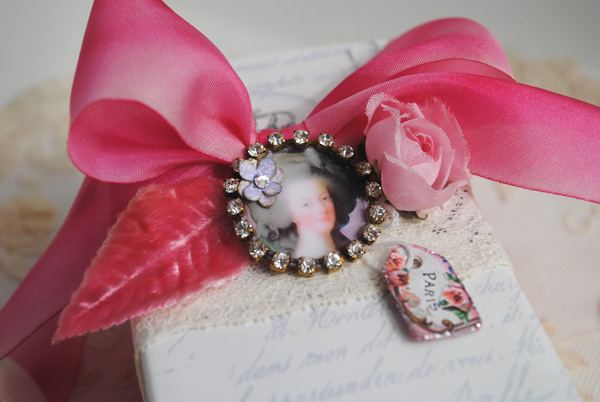 Inside is also a tiny matchbox that I filled with vintage beads, cabochons, buttons, pearls, rhondelles...little treasures for creating. Art Tea Life by Sandra Gordon, has a fabulous paper doll Marie page. I have minimized it's size so I could mail it along with the box. This second box I have made is for our upcoming GIVEAWAY!!! This time I used a Echo Park Papers "Be Mine" series scrapbook paper. I gessoed it a bit to take the brightness down, added some silk ribbon, velvet leave, and a vintage flower. The Marie cameo I created myself. ...and here is a sneak peek of some of the goodies inside!! 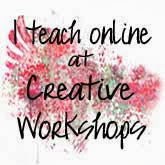 !I will be announcing the beginning of the giveaway by June 1st.I would love to hear about what you are creating this weekend.Thank you so much for stopping by! How sweet these are! It looks like both of us were busy with art projects this week! That felt SO good to get out the papers and glues and make some art! I'll be looking forward to your giveaway. I'd love a Terri piece of art for sure! Have a great weekend my dear friend. 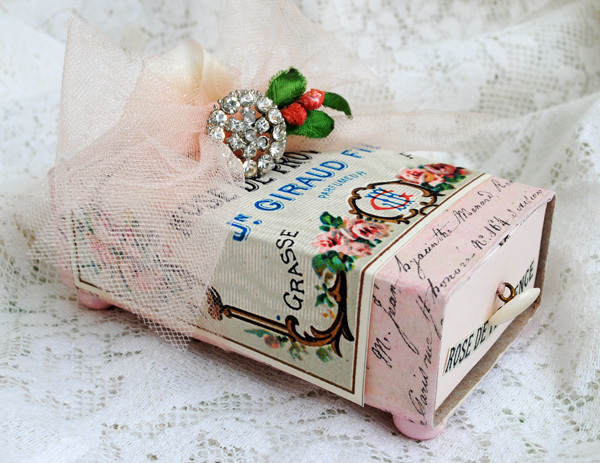 What a beautiful little box - you have really transformed it! 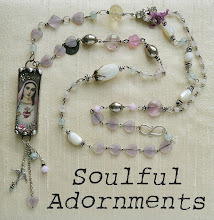 What sweet treasures you've created from items that would normally be thrown in the trash! Gorgeous! So very beautiful, love them. P.S. 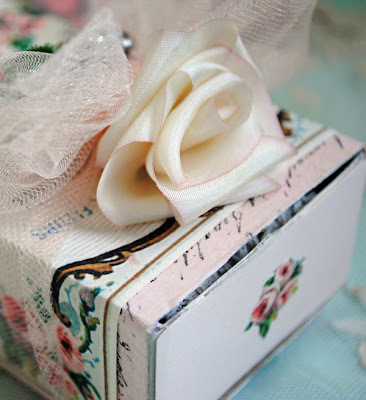 Looking forward to your tissue paper transfer tutorial also! Ooo. so lovely, as usual, Terri! Beautifully decorated and I like the little pull handle on the 'drawer'. Wouldn't they be fun to store love notes in. Great little things Terri, those matchboxes are gorgeoous! Beautiful and such a great idea for upcycling! Hi Terri, thanks for your lovely comment on my blog. These matchboxes are so lovely! And that there is a treasure to be found inside is even better! I once participated in a matchbox swap and I kept all the matchboxes just as they came, so that I can take a peek inside once in a while. It never bores me! I am crocheting a ripple afghan and I should make a little book for my husband's 50th birthday on Thursday. But I create best under a little (or very much) pressure. That is such a cute and fabulous idea! It's what we in the Netherlands would call a 'hebbeding'! So delicate and such glamourous colors. Love all the trimmings. 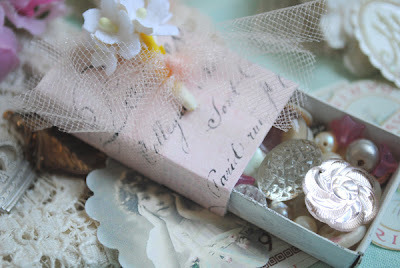 Lovely altered matchbox - so feminine and pretty. Love the colors and papers you chose. I love those, especially the one with the ledger paper. The little treats inside are wonderful. I did several of those swaps with Heather of Speckled Egg. So much fun! I could never take them apart, though, and use what was inside because it was all so sweet together! So very beautiful. I adore your style and follow u now. I will look at more posts too. Enchanting....sigh. This reminds me of a William Morris quote. "Have nothing in your house that you do not know to be useful, or believe to be beautiful". In this case it is both! It is really pretty Terri. 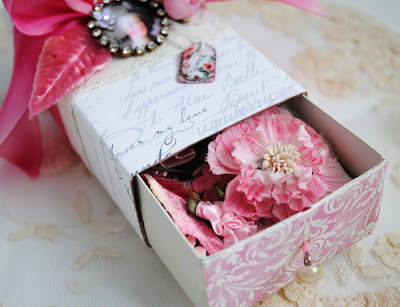 What an innovative and pretty,creative match box project! 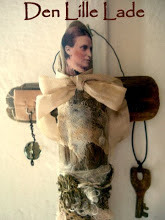 Thanks for sharing some of the 'how-to's' of this project with us.., So charming! Thanks so very much for joining us and we look forward to hopefully having you join us once again in a few days; it's always a pleasure! Your teacups, china cabinet, and especially your amazing black and colourfully, finely detailed antique teapot were exceptional at last week's tea! Oh my goodness...that is so sweet and beautiful! I wanna make one! Looking forward for the unveiling of your giveaway! As for what I am making this weekend? Well, I'm making clean. My studio is such a mess I am taking time to reorder and reorganize everything...to Billie Holiday playing in the background, of course! 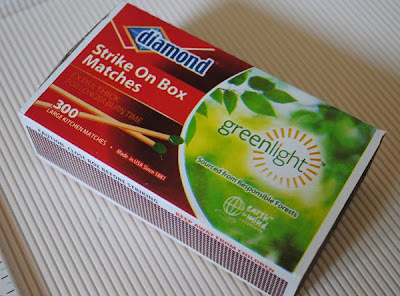 The match box is so very beautiful. Of course you know you are a constant source of inspiration. Thank you for your sharing nature and your beautiful art. I am very eager to learn about tissue paper transfers. Working on dolls this weekend with a trip to one estate sale. All your works are always lovely! How beautiful! You are so clever and talented, Terri! THOSE ARE SO GORGEOUS! I absolutely love them. You are amazing! PS I love Cath Kidston too! And Tanya Whelan fabrics. They are some of my favorites. Wow..as always Terri..an Inspiring post...I am always so charmed by everything you share and create...wow!Just gorgeous...yay..fabulous!! Beautiful photos as well...you know how to evoke a beautiful poetic atmosphere with your shots..wonderful! Terri these are so sweet and lovely! 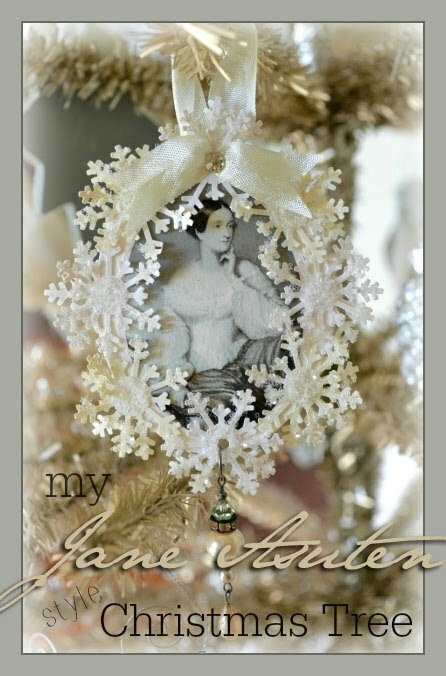 The embellishments are darling and I love what you added to the inside! beautiful work! What a sweet little box! 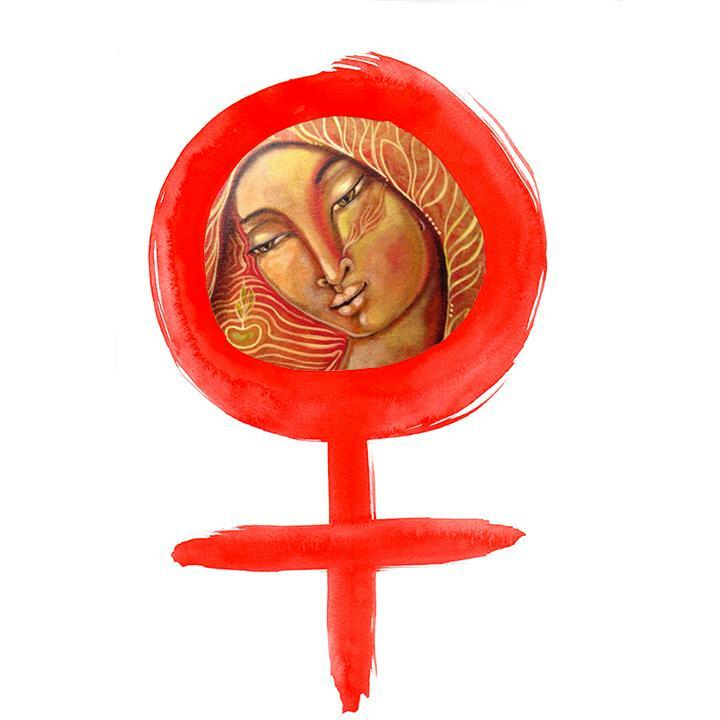 I love the images you chose from the Graphics Fairy! I've done some in sheet music and drawer liner paper but yours is just divine! Coming over from Brag Monday and your newest follower! Hi Terri, I'm so glad you found me, because otherwise I wouldn't have found your fabulous blog. I just did my first matchbox swap. Yours is simply beautiful and you've given me some ideas. It's so much fun. Thanks for your kind comments. Oh my!! your work is so gorgeous and the photos are breathtaking. 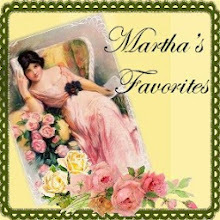 I love the matchbox you created, my friend, and I know Debi is over the moon for it. I look forward to your tutorial and thank you ahead of time for the painstaking work that goes into each video you make. 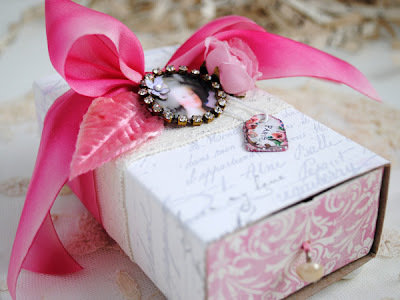 Terri, I am so thrilled to be the owner of the first beautiful box here! 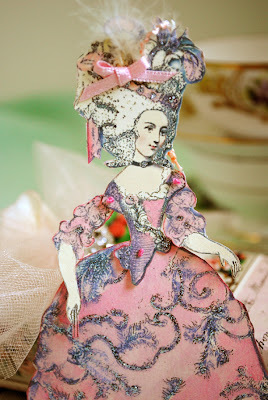 I just love the colors and papers you used...so very pretty! Your second box is also beautiful. What a wonderful giveaway gift that will make! Just catching up and loving these beautiful treasure boxes. So many possibilities! Have a great weekend. 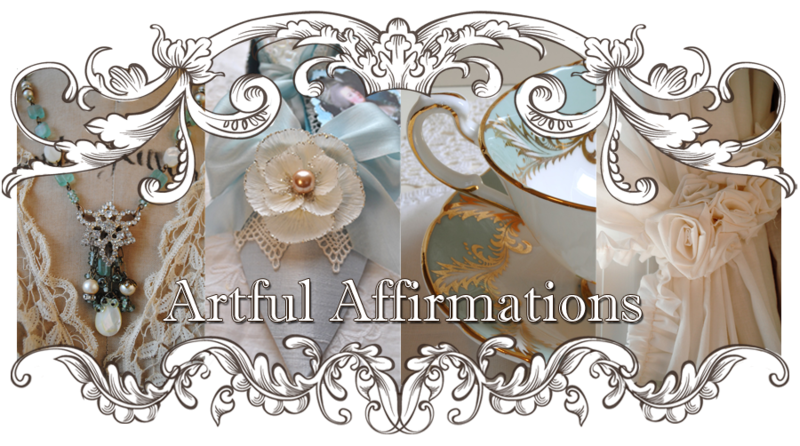 Tea Cup Tuesday-Mother's Day Gift! Tea Cup Tuesday Easter Swap!